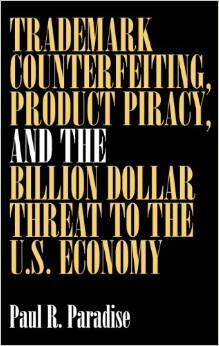 PAUL R. PARADISE is a bestselling author of nine nonfiction books including Trademark Counterfeiting, Product Piracy, and the Billion Dollar Threat to the U.S. Economy published by Praeger in 1999. Paradise is an expert on the subject of trademark counterfeiting and, in addition to publishing a well received fiction book about the subject, has also been a celebrated speaker to groups nationwide. 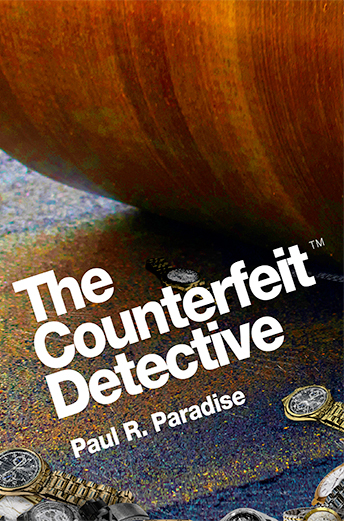 Paul’s newest work, “The Counterfeit Detective,” is a private eye novel based on a short story that received Honorable Mention in the 2008 Writer’s Digest Fiction Competition. The story is also based on a chapter length profile of real life investigator David Woods that appeared in PI Magazine and was published in Trademark Counterfeiting, Product Piracy and the Billion Dollar Threat to the U.S. Economy (Praeger 1999, 2000). He is an expert on trademark counterfeiting, which the FBI calls “the business crime of the 21st Century,” and the co-author of Piracy Investigations for Private Investigators, published by Thomas Investigative Publications (2005). He wrote the cover story for the January 1995 issue of Electronics Now on cable piracy (“Signal Theft”). He has been interviewed on the Brian Lehrer Show on WNYC, New York, NY and the John Dayl Show, KXAM, Scottsdale, AZ. Mr. Paradise began his career as the staff writer for T.F.H. Publications, the world’s largest publisher of pet and animal books. He authored six books for T.F.H. and wrote numerous articles for the parent publication, Tropical Fish Hobbyist Magazine. He has written over two dozen articles in the area of law enforcement. Link to: David Woods, AI Services, Inc.